This is not your usual kind of "Coaching". a whole new state of living. Get ready for some mind bending expansion, lots of never-knew-possible liberation, many many times of clarity clicking within. Or.. Are you wishing to dive in the 4 Months Transformation, yet due to some reason, unable to? 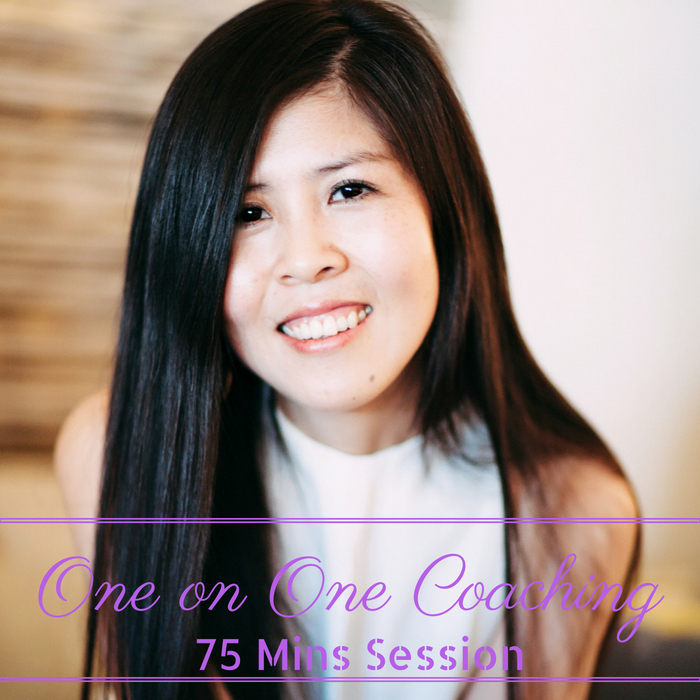 In this session, Jingjing will support and guide you around the issues you're facing at the moment. And centring around the "issue", she will open you to a new realm of expansion, so that you'll not only get clarity and tools on the issue at hand, but also most equipped for your journey of further awakening and evolving. If you're done feeling unfulfilled, unhappy, confused, AND, you're dying for a new life of passion, aliveness, purpose and true joy, let alone, effortless abundance.. This 4 Month ONE-ON-ONE program is heart made for you. It's the heart promise from Jingjing - your life will transform in such profound ways that you'd barely recognise it...in the best way. You have exclusive personal access to Jingjing during the entire program. This offers deep and intimate healing for you as well as massive catered-for-you guidance, which in turn facilitates your faster transformation. With the collective consciousness awakening, we're gradually but most definitely settling in a whole new era of high vibration on earth. In order to for this to happen, everything dense, heavy, limiting within us has to be cleared and transmuted.. - which can cause constant confusion in us, if not informed. Over the years, many of you shared how much you'd really love opportunities to meet Jingjing IN PERSON..
Well, you asked, we're answering! Even better, how about meeting Jingjing in some of your home cities!? We will be planning a series of LIVE events in different cities, and during these LIVE events, you'll not only get to meet Jingjing IN PERSON, but also receive her themed group lecture and program. Expect an incredible energy expansion and explosion. W're choosing to make it an intimate experience for you, so space will be very limited for each event. Be sure to book your entry once they're made open!